I just wanted to share with you how my first month on Invokana has been. It’s been about 3 more weeks since I wrote this article for DiabetesDaily.com and I’m doing much better. How much quality of life do I sacrifice in order to hopefully live longer? How much crazy making can I handle in my life right now? What defines “excessive worry” and “appropriate action”? I filled the prescription for the new drug “Invokana” two weeks ago. But every evening when I take it, I ask myself questions I don’t know the answers to. 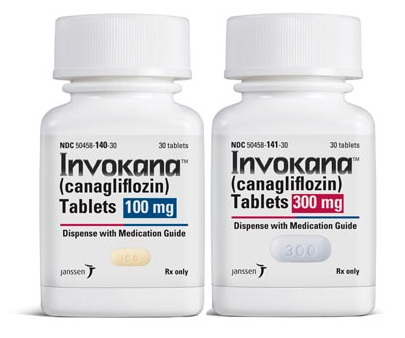 Invokana–which can be taken by both type 1s and type 2s–is supposed to block your body’s ability to put sugar, removed from the kidneys, back into the bloodstream. Instead, it’s eliminated through urine. I am juggling both the emotional and physical aspects of diabetes care, and that isn’t always easy. I have googled to see how other people are faring on this drug. But it doesn’t seem like many of us are talking about it online.